What do surfboards, sharks and bananas all have in common? Our sunglasses. 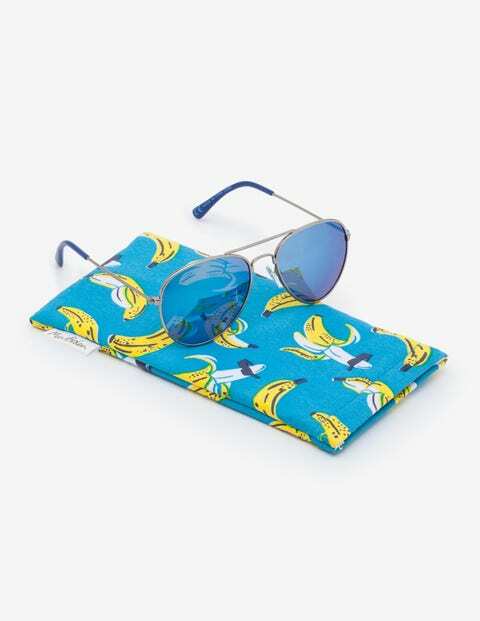 They come in a handy pouch decorated with one of these fun designs, complete with a glasses cleaner attached. Great to pop in the rucksack for a day out under the rays.